I’d like to start a new section on my blog to show love to awesome local stores and businesses in the San Francisco Bay Area. 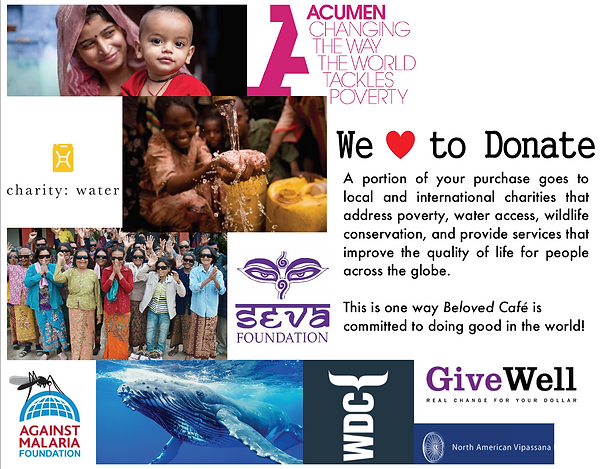 Today, we are sharing some love to Beloved Cafe. It is located at the corner of 24th and Mission Street, in the popular Latin neighborhood in San Francisco. Apart from being a GORGEOUS little cafe, taking you to a relaxed state right after you set foot in it, making you forget the busy Mission streets around you, the variety of natural drinks and dishes are beyond tasty. My favorites are the spiced hot chocolate and the vegan brownie-cake, apart from the fact that they have the most amazing tea blends. The best part about this place is what it does for its community and others far away. By now, I hope you add this spot to your ‘must-try’ list. You will really love it. Guaranteed. Please, don’t hesitate to leave a comment if you have any question, idea or recommendation. This look like such a cute cafe! I’m off to SF next month so will be looking it up – thanks for sharing! It’s an adorable cafe! Not only that though, I think it’s so important to highlight local businesses as well!